It's been a rough couple of weeks, hectic and all over the place, meal planning and proper eating hasn't been high on my list of priorities. There's been a night out involving lots of Southern Comfort and red lemonade. There's been nights recently where the boy child has been a divil to get to sleep, sometimes taking an hour by which time I'm too tired to cook and a take away has been ordered. There's been a work lunch involving lots of cake for afters. There was a family dinner involving lot of cake for afters...again. There's been numerous bags, big bags, of Kettle crisps devoured...they are just so yummy I could eat the cheese and onion ones all day long! You get the picture, I well and truly fell off the wagon. My energy levels were down, my skin broke out a bit and I haven't been sleeping great as a result of the junk food. To be honest I'm surprised I'm not up a stone! However I can't let this allow me to think I can cheat here and there and not put up much weight. I need to get back on the wagon and stay on it. I need to refocus back to where I was last year when I managed to drop a stone in 6 weeks purely through proper meal planning and keeping track of what I was eating. I've started the day with my lemon water and last night I cooked up a batch of delicious Slimming World Friendly chicken and pasta soup for my lunch for the rest of the week. (I'll post the recipe later) and I've dinner pre cooked so I only have to warm it up this evening, just in case it's a long night with the boy child again. It really is a question of being prepared in order to keep me on track. I have begun doing some light exercises in the evening which I quite enjoy. I do mixture of squats, lunges, push ups, sit ups and a couple of other ones I need to get the names of! It generally takes me about 12 - 15 minutes. I time it to one program of my abs belt while I'm wearing it. I wear that for 36 minute about 4 days a week and I really have noticed a difference in my abdominal area, it's way more tight and it's on its way to being flatter. My problem area is the little pouch type thing I'm left with since having a c-section 2 years ago. If anyone has any suggestions on toning that area up do let me know! So there we have it for this week. It's head down and focus for me for the next week and I sincerely hope to see a loss on those scales next week. 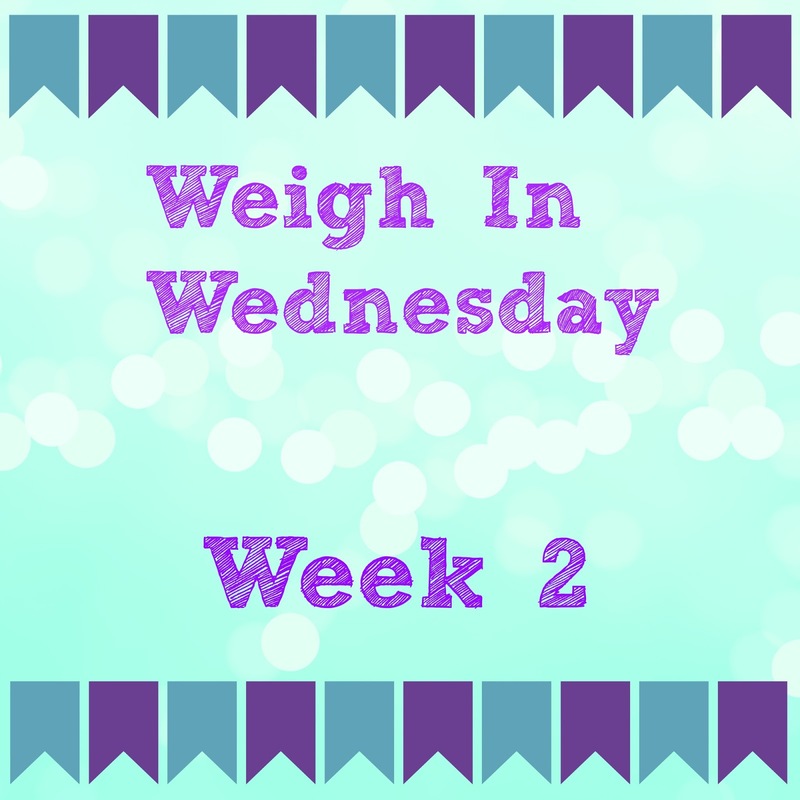 How have you been getting on with your weight loss journey?